Members of BINA provide firsthand, authentic accounts of the Beta Israel experience. Topics include life in Israel, aliyah to Israel, life in the U.S. and the future of Israeli/Ethiopian relations. Curriculum and lesson plans on Ethiopian Jewish culture and traditions for children and teenagers. BINA assembles experts on the issues affecting Ethiopian Jews and on topics that resonate in the lives of Ethiopian, as well as other Jews. 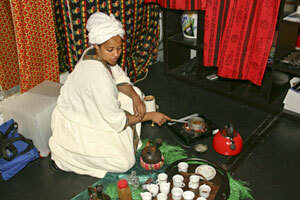 Cultural workshops, including Ethiopian coffee ceremony and Ethiopian arts and crafts. 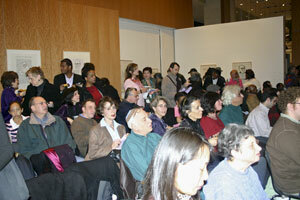 BINA provides artists with venues to display their work. Artists of various backgrounds and working in various media are invited to contact BINA about the possibility of having their work displayed. Work with themes or subject matter related to Ethiopian and Jewish culture is preferred. BINA’s annual Sheba Film Festival is our flagship cultural showcase and features films from a diverse array of filmmakers about Ethiopia and Ethiopian Jews. BINA’s concerts showcase Ethiopian musicians and poets who use song, dance, and other types of performance art to provide distinctive cultural experiences. Welcome the Sabbath in the Ethiopian Jewish tradition. Explore the diversity of Jewish life by participating in a Beta Israel Shabbat dinner. Celebrate Chanukah the Ethiopian way! A program for community centers, synagogues, churches, and schools. This program includes candle lighting, Ethiopian Jewish cuisine, music, dance, and a traditional Ethiopian coffee ceremony. Since its establishment, BINA has assisted many newcomers to the U.S. in obtaining access to legal aid and temporary housing. BINA continues to provide a range of services to members of the Beta Israel community.